Prof. Dr. Alexander Zipf is chair of GIScience (Geoinformatics) at Heidelberg University (Department of Geography) since late 2009. He is member of the Centre for Scientific Computing (IWR) and founding member of the Heidelberg Center for the Environment (HCE). From 2012-2014 he was Managing Director of the Department of Geography, Heidelberg University. In 2011-2012 he acted as Vice Dean of the Faculty for Chemistry and Geosciences, Heidelberg University. Currently he is busy establishing the Heidelberg Institute for Geoinformation Technology (HeiGIT). 2012 -2018 he was speaker of the graduate school “CrowdAnalyser - Spatio-temporal Analysis of User-generated Content“. He is also member of the editorial board of several journals and organized a set of conferences and workshops. 2012-2015 he was regional editor of the ISI Journal Transactions in GIS (Wiley). Currently he is associated editor of the international journal Geo-spatial Information Science (GSIS) by Taylor & Francis (open access). Before coming to Heidelberg he led the Chair of Cartography at Bonn University and earlier was Professor for Applied Computer Science and Geoinformatics at the University of Applied Sciences in Mainz, Germany. He has a background in Mathematics and Geography from Heidelberg University and finished his PHD at the European Media Laboratory EML in Heidelberg where he was the first PhD student. There he also conducted further research as a PostDoc for 3 years. Degrossi L.C., J. Porto de Albuquerque, R. dos Santos Rocha, A. Zipf (2018): A taxonomy of quality assessment methods for volunteered and crowdsourced geographic information. Transactions in GIS (TGIS). Wiley. DOI:10.1111/tgis.12329. Scholz, S., Knight, P., Eckle, M., Marx, S., Zipf, A. (2018): Volunteered Geographic Information for Disaster Risk Reduction: The Missing Maps Approach and Its Potential within the Red Cross and Red Crescent Movement. Remote Sens., 10(8), 1239, doi: 10.3390/rs10081239. Li, M., Westerholt, R., Zipf, A. (2018): Do people communicate about their whereabouts? Investigating the relation between user-generated text messages and Foursquare check-in places. Geo-spatial Information Science (GSIS), V21, I3. pp. 159-172. https://doi.org/10.1080/10095020.2018.1498669. Huang, W. and Li, S. (2018): An approach for understanding human activity patterns with the motivations behind. International Journal of Geographical Information Science (IJGIS), 2018. Mocnik, F.-B., Mobasheri, A., Zipf, A. (2018): Open source data mining infrastructure for exploring and analysing OpenStreetMap. Open Geospatial Data, Software and Standards. Novack T., R. Peters, A. Zipf (2018): Graph-Based Matching of Points-of-Interest from Collaborative Geo-Datasets. 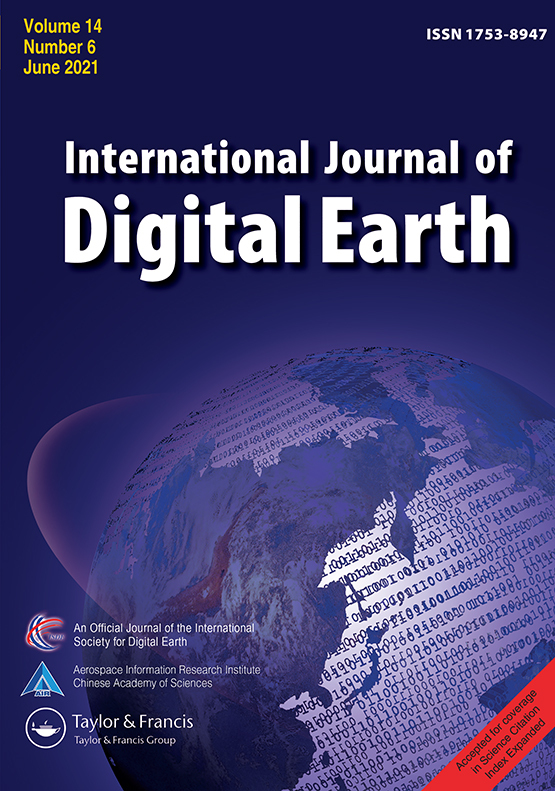 ISPRS International Journal of Geo-Information, 7(3), 117-134. DOI:10.3390/ijgi7030117. Kuo, C.-L., T.C. Chan, I.-C. Fan, A. Zipf (2018): Efficient Method for POI/ROI Discovery Using Flickr Geotagged Photos. ISPRS Int. J. Geo-Inf. 2018, 7(3), 121; doi:10.3390/ijgi7030121. Auer, M., Zipf, A. (2018). 3D WebGIS: From Visualization to Analysis. An Efficient Browser-Based 3D Line-of-Sight Analysis. ISPRS Int. J. Geo-Inf. 7, no. 7: 279. doi: 10.3390/ijgi7070279. Huang, W., Fan, H., and Zipf, A. (2017): Towards Detecting the Crowd Involved in Social Events. ISPRS International Journal of Geo-Information, 6(10), 305. DOI: 10.3390/ijgi6100305. Schultz, M., Voss, J., Auer, M., Carter, S., and Zipf, A. (2017): Open land cover from OpenStreetMap and remote sensing. International Journal of Applied Earth Observation and Geoinformation, 63, pp. 206-213. DOI: 10.1016/j.jag.2017.07.014. Mocnik, F.-B., Zipf, A., Raifer, M. (2017): The OpenStreetMap folksonomy and its evolution. Geo-spatial Information Science. DOI: 10.1080/10095020.2017.1368193. Griesbaum, L., Eckle, M., Herfort, B., Raifer, M., Zipf, A. (2017):Partizipative Methoden zur Erfassung und Verarbeitung von Geoinformationen - Das Beispiel OpenStreetMap. HMD Praxis der Wirtschaftsinformatik. Special Issue "Online Participation". Rousell A. and Zipf A. (2017): Towards a landmark based pedestrian navigation service using OSM data. International Journal of Geo-Information, ISPRS IJGI, 6(3): 64. Jacobs C. and A. Zipf (2017): Completeness of Citizen Science Biodiversity Data from a Volunteered Geographic Information Perspective. Geo-Spatial information Science, 20(1): 3-13. Taylor & Francis. DOI: 10.1080/10095020.2017.1288424. Reichert, M., Tost, H., Reinhard, I., Schlotz, W., Zipf, A., Salize, H.-J., Meyer-Lindenberg, A., & Ebner-Priemer, U. W. (2017). Exercise vs. non-exercise activity: e-diaries unravel distinct effects on mood. Medicine & Science in Sports & Exercise, 49(4): 763-773. Li, M., Westerholt, R., Fan, H., Zipf, A. (2016): Assessing spatiotemporal predictability of LBSN: A case study of three Foursquare datasets. GeoInformatica. DOI:10.1007/s10707-016-0279-5. Westerholt, R., Steiger, E., Resch, B. and Zipf, A. (2016): Abundant Topological Outliers in Social Media Data and Their Effect on Spatial Analysis. PLOS ONE, 11 (9), e0162360. DOI:10.1371/journal.pone.0162360. Törnros, T., Dorn, H., Reichert, M., Ebner-Priemer, U., Salize, H.-J., Tost, H., Meyer-Lindenberg, A., Zipf, A. (2016): A comparison of temporal and location-based sampling strategies for GPS-triggered electronic diaries." Geospatial Health. Vol 11, No 3. DOI:10.4081/gh.2016.473. Westerholt, R., Resch, B., Zipf, A. (2015): A local scale-sensitive indicator of spatial autocorrelation for assessing high- and low-value clusters in multi-scale datasets. International Journal of Geographical Information Science (IJGIS), 29 (5), pp. 868-887, Taylor & Francis. DOI: 10.1080/13658816.2014.1002499. Jokar Arsanjani, J., Mooney, P., Helbich, M., Zipf, A., (2015): An exploration of future patterns of the contributions to OpenStreetMap and development of a Contribution Index, Transactions in GIS, 19(6): 896–914. John Wiley & Sons. DOI: 10.1111/tgis.12139. Porto de Albuquerque, J., B. Herfort, A. Brenning, A. Zipf (2015): A Geographic Approach for Combining Social Media and Authoritative Data towards Improving Information Extraction for Disaster Management: A Study on the Twitter usage in the River Elbe Flood of June 2013. International Journal of Geographical Information Science, 29(4): 667-689. Taylor & Francis. DOI: 10.1080/13658816.2014.996567. Neis, P. & Zielstra, D. (2014): Recent Developments and Future Trends in Volunteered Geographic Information Research: The Case of OpenStreetMap. Future Internet Vol. 6(1), pp. 76-106. DOI:10.3390/fi6010076 (Open Access). Barron, C., Neis, P. & Zipf, A. (2013): A Comprehensive Framework for Intrinsic OpenStreetMap Quality Analysis. , Transactions in GIS, DOI: 10.1111/tgis.12073. Sun, Y., Fan, H., Bakillah, M. & Zipf, A. (2013): Road-based Travel Recommendation Using Geo-tagged Images. Computers, Environment and Urban Systems (CEUS). Elsevier. Bakillah, M., Liang, S.H.L, Zipf, A. & Jokar Arsanjani, J. (2013): Semantic Interoperability of Sensor Data with Volunteered Geographic Information: A Unified Model. ISPRS International Journal of Geo-Information. Vol. 2(3), pp. 766-796. DOI:10.3390/ijgi2030766. Neis, P., Zielstra, D. & Zipf, A. (2013): Comparison of Volunteered Geographic Information Data Contributions and Community Development for Selected World Regions. Future Internet. Vol. 5, pp. 282-300. Jokar Arsanjani, J., Helbich, M., Bakillah, M., Hagenauer,J. & Zipf, A. (2013): Toward mapping land-use patterns from volunteered geographic information. International Journal of Geographical Information Science (IJGIS). Taylor & Francis. DOI: 10.1080/13658816.2013.800871. Li, M., Bakillah, M. & Zipf, A. (2013): Embedding context-awareness to improve 3D geo-visualization for mobile users. gis.SCIENCE. Vol.3, pp. 81-86. Bakillah, M., Liang, S.H.L., Zipf, A. & Mostafavi, M. A. (2013).A Dynamic and Context-Aware Semantic Mediation Service for Discovering and Fusion of Heterogeneous Sensor Data. Journal of Spatial Information Science (JOSIS). Vol.6, pp. 155-185. Bakillah, M., Mostafavi, M. A., Liang, S.H.L. & Zipf, A. (2012): Fuzzy Query Propagation in Sensor Networks. International Journal On Advances in Intelligent Systems, Vol.5(3/4). Neis, P., Goetz, M. & Zipf, A. (2012): Towards Automatic Vandalism Detection in OpenStreetMap. ISPRS International Journal of Geo-Information. Vol.1(3), pp.315-332. DOI:10.3390/ijgi1030315. Resch, B., Zipf, A., Breuss-Schneeweis, P., Beinat, E. & Boher, M. (2012): Towards the Live City - Paving the Way to Real-time Urbanism. 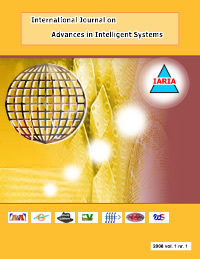 International Journal on Advances in Intelligent Systems, Vol. 5(3&4), pp. 470-482. Goetz, M. & Zipf, A. (2012): Using Crowdsourced Indoor Geodata for Agent-Based Indoor Evacuation Simulations. ISPRS International Journal of Geo-Information. Vol.1(2), pp.186-208. MDPI. DOI:10.3390/ijgi1020186. Neis, P. & Zipf, A. (2012): Analyzing the Contributor Activity of a Volunteered Geographic Information Project – The Case of OpenStreetMap. ISPRS International Journal of Geo-Information. Vol.1(2), pp.146-165. MDPI. DOI:10.3390/ijgi1020146 . Bakillah, M., Mostafavi, M.A., Liang, S.H.L. & Zipf, A. (2012): Real Time Query Propagation Strategies with Light-weight Coordination Calculus (LCC) for Ad Hoc Networks of Geospatial Databases. Journal of Network and Computer Applications (JNCA). Elsevier. ISSN: 1084-8045. http://dx.doi.org/10.1016/j.jnca.2012.07.015. Jochem, A., Höfle, B., Wichmann, V., Rutzinger, M. & Zipf, A. (2012): Area-wide roof plane segmentation in airborne LiDAR point clouds. Computers, Environment and Urban Systems. Vol. 36(1), pp. 54-64. Neis, P., Zielstra, D. & Zipf, A. (2012): The Street Network Evolution of Crowdsourced Maps - OpenStreetMap in Germany 2007-2011. Future Internet. Special Issue "NeoGeography and WikiPlanning" (Eds: B. Murgante, G. Borruso, M. Gibin), Vol.4, pp.1-21 (DOI 10.3390/fi4010001). ISSN 1999-5903. Goetz, M. & Zipf, A. (2012): Towards Defining a Framework for the Automatic Derivation of 3D CityGML Models from Volunteered Geographic Information. International Journal of 3-D Information Modeling (IJ3DIM), Vol.1(2), pp. 1-16, IGI-Global. Goetz, M. & Zipf, A. (2011): Formal Definition of an User-adaptive and Length-optimal Routing Graph for Complex Indoor Environments. Geo-spatial Information Science (GSIS). Vol.14(2). Springer. Over, M., Schilling, A., Neubauer, S. & Zipf, A. (2010): Generating web-based 3D City Models from OpenStreetMap: The current situation in Germany. CEUS. Computers, Environment and Urban Systems. Kurzbach, S., Lanig, S., Pasche, E. & Zipf, A. (2009): Benefits of Grid Computing for Flood Modeling in Service-Oriented Spatial Data Infrastructures. GIS.Science. Die Zeitschrift für Geoinformatik. Vol.3, pp. 89-97. Lanig, S. & Zipf, A. (2009): Interoperable processing of digital elevation models in grid infrastructures. Earth Science Informatics. Vol.2, pp.107–116. DOI 10.1007/s12145-009-0030-y. Neis, P. & Zipf, A. (2008): Generating 3D Focus Maps for the (mobile) Web - an interoperable approach. International Journal of Location Based Services (JLBS). Vol. 2(2). Weiser, A., Neis, P & Zipf, A. (2006): Orchestrierung von OGC Web Diensten im Katastrophenmanagement - am Beispiel eines Emergency Route Service auf Basis der OpenLS Spezifikation. In: GIS - Zeitschrift für Geoinformatik. Vol.9, pp. 35-41. Zipf, A & Jöst, M. (2005): Implementing Adaptive Mobile GI Services based on Ontologies - Examples for pedestrian navigation support. CEUS - Computers, Environment and Urban Systems - An International Journal. Special Issue on LBS and UbiGIS. Pegamon Press, Elsevier. Zipf, A. & Häußler, J. (2004): Supporting Multi-Modal Interfaces for Adaptive Tour Planning - A Comparsion to OpenLS Specifications. Geographic Information Sciences. Special Issue on LBS and UbiGIS. CPGIS. Berkeley. California. Vol.10(2), pp. 117-127. Zipf, A. (2003): Forschungsfragen für kontextadaptive personalisierte Kartographie. Kartographische Nachrichten (KN). Themenheft "Mobile Kartographie". Vol.1, pp. 6-11. Zipf, A. (2002): Location aware mobility support for tourists. Trends & Controversies. IEEE Intelligent Systems. Journal. Special Issue on "Intelligent Systems for Tourism". November/December 2002. S.57-59. Zipf, A. & Richter, K.F. (2002): Using Focus Maps to Ease Map Reading. Developing Smart Applications for Mobile Devices. Künstliche Intelligenz (KI) (Artificial Intelligence). 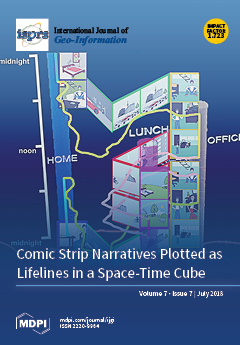 Special Issue: Spatial Cognition. Vol.4, S.35-37. Zipf, A. & Schilling, A. (2002): Dynamische Generierung von VR-Stadtmodellen aus 2D- und 3D-Geodaten für Tourenanimationen. GIS - Geo-Informations-Systeme. Zeitschrift für raumbezogene Information und Entscheidungen. Vol.6, S. 24-30. Zipf, A. &Aras, H. (2001): Realisierung verteilter Geodatenserver mit der Open-GIS SFS für CORBA. GIS - Geo-Informations-Systeme. Zeitschrift für raumbezogene Information und Entscheidungen. Heidelberg. Vol.3, S. 36-41. Zipf, A. (2001): Interoperables GIS für LBS. Mitteilungsblatt des deutschen Vereins für Vermessungswesen. Landesverein Rheinland-Pfalz e.V. Heft 2001. 50. Jahrgang. S.6-18. (eingeladener Beitrag). Zipf, A. & Krüger, S. (2001): Flexible Verwaltung temporaler 3D-Geodaten. GIS - Geo-Informations-Systeme. Zeitschrift für raumbezogene Information und Entscheidungen. Vol.12, S. 20-27. Zipf, A. (2001): Interoperable GIS-Infrastruktur für Location-Based Services (LBS) - M-Commerce und GIS im Spannungsfeld zwischen Standardisierung und Forschung. GIS Geo-Informations-Systeme. Zeitschrift für raumbezogene Information und Entscheidungen. Vol.9, S. 37-43. Zipf, A. (2001): Projektabschlußbericht: Deep Map/GIS. HGG-Journal. Journal der Heidelberger Geographischen Gesellschaft. Heidelberg. Zipf, A., Häußler, J., Chandrasekhara, V. & Malaka, R. (2000):Deep Map - Mobiles GIS hilft Touristen bei der Navigation. HGG-Journal. 2000. Heidelberg. Weinmann, R., Häußler, J. Zipf, A. & Malaka, R. (2000): Die Besucher Heidelbergs informieren - die multimediale historische Deep Map Datenbank. HGG-Journal. 2000/1. Heidelberg. Zipf, A. & Malaka, R. (1999): Durch Raum und Zeit - Deep Map - das historische Touristeninformationssystem für Heidelberg. GeoBit. Vol.5, S.30-34. Meusburger, P. & Zipf, A. (1998): Auf dem Weg zu einem 4D-Geoinformationssystem - das Projekt Deep Map. HGG-Journal, Heidelberg. Vol.13, S. 212-214. Zipf, A. (1999): Tourenplanung im Web und Navigation durch Raum und Zeit mit Deep Map. Arc-Aktuell. ESRI, Kranzberg. Zipf, A. (1997): Geographie im Cyberspace. Geographische Forschung und Lehre im "virtuellen Raum". HGG Journal, Heidelberg. Vol.11, S. 221-235. Zipf, A. (1996): Geographie und Internet. HGG Journal, Heidelberg. Vol.10, S. 172-186. Best paper award: Resch, B.; Zipf, A.; Breuss-Schneeweis, P.; E. Beniat and Boher, M. (2012): Live Cities and Urban Services - A Multi-dimensional Stress Field between Technology, Innovation and Society. The Fourth International Conference on Advanced Geographic Information Systems, Applications and Services. GEOProcessing 2012. Valencia, Spain. Best paper award: Walenciak, G., Stollberg, B., Neubauer, S. and Zipf, A. (2009): Extending Spatial Data Infrastructures 3D by Geoprocessing Functionality - 3D Simulations in Disaster Management and environmental Research. The International Conference on Advanced Geographic Information Systems & Web Services (GEOWS 2009). Cancun. Mexico. Best Poster award at AGILE 2003 . Zipf, A. and Merdes, M. (2003): Is Aspect-Oriented Programming a new paradigm for GIS development? - on the relationship of geoobjects, aspects and ontologies. Lyon. France. Association of Geograpic Information Laboratories in Europe. 3rd Price for Diploma Student Albrecht Weiser: Förderpreis Geoinformatik 2006 of Runder Tisch GIS e.V. in Munich (March 2006). Grant by the European Science Foundation (ESF) for participating in the EURESCO conference on Geographical Domain and Geographical Information Systems - Modelling Wayfinding. Bad Herrenalb, Germany, 26 April - 1 May 2003. Grant by the European Science Foundation (ESF) for participating in the EURESCO conference on The Digital City - Socio-Economic Research and Geographic Information Systems - A Euroconference. Granada, Spain, 9 - 14 June 2001. Grant by ESRI for participating in the First International Conference on Geographic Information Science - GIScience 2000, Savannah, Georgia, USA, October 28-31, 2000. ESRI-Grant for IEUC98, The International ESRI User Conference, San Diego, USA. 1998. (additional participation at SDH 98 - Spatial Data Handling 1998, Vancouver, Canada). Erasmus grant for studying at the University of Manchester, UK. WS 1993/1994. ISPRS Working Group WG IV/8 Spatial Data Integration for Emergency Services . International Society for Photogrammetry and Remote Sensing. GI Fachgruppe Mobilität und Mobile Informationssysteme , der Gesellschaft für Informatik (GI). Scientific Commitee: 6th Digital Earth Summit 2016. Bejing. Program Committee: 3D GeoInfo 2009 - 4th International Workshop on 3D Geo-Information. Ghent, Belgium. Scientific Comittee. ISPRS-workshop on Quality, scale and analysis aspects of urban city models . (International Society for Photogrammetry and Remote Sensing). Lund, Sweden, 3-4.12.2009. ISCRAM 2009, 6th International Conference on Information Systems for Crisis Response and Management, Track Geo-information support, Göteborg, Sweden. Programm Committee: 2009 International Workshop on Theory and Applications Frontier of Location Based Services in cooperation with the The 3rd International Conference on Multimedia and Ubiquitous Engineering (MUE09) Qingdao, China. Programm Committee: 9th International Symposium on Web and Wireless GIS, W2GIS. Maynooth, Ireland. Lokale Organisation: 6. Fachgespräch Ortsbezogene Dienste. Universität Bonn. September 2009. Program Committee: Geoinformatik 2009, Osnabrück. Program Committee: LocWeb 2009 - Second International Workshop on Location and the Web in Conjunction with CHI 2009, Boston. USA. Programm Committee: 8th International Workshop on Web and Wireless Geographical Information Systems (W2GIS 2008). 11.-12.12.2008. Shanghai. China. Scientific Committee: joint Conference on Information Systems for Crisis Management 2008: 3rd International China Workshop on Information Systems for Crisis Response and Management (ISCRAM-CHINA) and the 4th International Symposium on Geo-Information for Disaster Management (Gi4DM). Harbin. China. Scientific Committee: 5th Symposium on Location Based Services & TeleCartography 2008. Salzburg, Austria 26-28. November 2008. Programm Committee: IADIS Wireless Applications and Computing 2008 (WAC 2008) Conference. July 2008. Amsterdam, The Netherlands. Programm Committee: W2GIS'07 - 7th International Workshop on Web and Wireless GIS. November 28-29, 2007 in Cardiff, UK (hosted by the University of Glamorgan). Programm Committee: GI-Forum. 2007. 2008. 2009. Salzburg. Austria 2009. Programm Committee: UMICS '07,the 5th International Workshop on Ubiquitous Mobile Information and Collaboration Systems. co-located with CAiSE '07 in Trondheim, Norway, June 11-12, 2007. Programm Committee: WAC 2007. IADIS International Conference Wireless Applications and Computing 2007. Lisbon, Portugal. Programm Committee: UMICS '06, the 4th International Workshop on Ubiquitous Mobile Information and Communication Systems, co-located with CAiSE in Luxembourg, June 5-6, 2006. Programm Committee: 6th International Workshop on Web and Wireless GIS (W2GIS'06). December 4-5, 2006. Hong Kong. China. Workshop Organizer: UbiGIS 2006 - Second International Workshop on Ubiquitous GI Services. In conjunction with GISCience - International Conference on Geographic Information Science - Münster, Germany. September 2006. Workshop Organizer: Mobile Maps 2005. 19. September 2005. Programm Committee: deegree day. 2006, 2007. 2008. Bonn. Germany. June 2006, 2007. 2008. Programm Committee: 1st International Workshop on Web Portal-based Solutions for Tourism - IWWPST05 Focus: Decision Support Systems. November 8 and 9, 2005 Tampere, Finland. International Review Committee: Spatial Cognition 2004 Frauenchiemsee Island, Bavaria, Germany from 11-13 October 2004. Organizer: The Transregional Collaborative Research Center SFB/TR 8 Spatial Cognition. Scientific Review Committe: IADIS Cognitive Performance Support (CPS) Conference within the IADIS Virtual Multi Conference on Computer Science and Information Systems (MCCSIS) conference. Program Chair and Organizer: UbiGIS 2004. First International Workshop on Ubiquitous Geographic Information Services. (Topic: The relationship of GIS and Ubiquitous Computing ). In conjunction with: Geoinformatics 2004 . 12th International Conference on Geoinformatics ; Geospatial Information Research: Bridging the Pacific and Atlantic. 7 -9 June 2004, Gvle, Sweden. Program Committe: AGIT, Salzburg, Austria; since 2003. Workshop Organizer: Alexander Zipf (FH Mainz) and Liqiu Meng (TU Munich): Design kartenbasierter mobiler Dienste. (Call for papers) Workshop auf der Konferenz. Mensch und Computer - Interaktion in Bewegung. Stuttgart. Germany. 2003. Program Committe: Geoinformatics 2004. 12th International Conference on Geoinformatics ; Geospatial Information Research: Bridging the Pacific and Atlantic. 7 -9 June 2004, Gvle, Sweden. Scientific Committee: IT Conference. 2007. Malaka. Malaysia. Program and Organizing Committee: GIS Day 2003. Heidelberg. 18. Nov. 2003. Program and Organizing Committe: AGIT 2002, Schwerpunktthema: Geoinformation Mobil , Salzburg, Austria, 3. - 5. 07.2002. Program Committe: AIMS 2002 - Artificial Intelligence in Mobile Systems, Lyon, France, July, 22 2002, in conjunction with: ECAI 2002 (European Conference on Artificial Intelligence). Program and Organizing Committee: GIS Day 2002. Heidelberg. 20. Nov. 2002.